Which part(s) of the course did you enjoy most and why? "[The trainer's] delivery made even the most difficult concepts understandable and interesting." What is the cost of the Sounds-Write Course? Our courses cost £430 per person, or thereabouts – there is a little variation in cost from one venue to another, to allow our trainers to factor in differing overheads, such as room hire and travel. This variation is rarely more than plus or minus £30. In a few cases VAT is added; this can of course be reclaimed by schools. The fee covers everything needed to teach the Sounds-Write method: four days of training, a copy of our 300+ page manual, various printed and digital resources, lifetime access to current versions of the latter including new files and updates, and certification. You will find a list of all the courses we currently have scheduled on the ‘Courses’ page of this site - new courses are added quite often so it's worth checking back from time to time if you don't see one in your area right now. We try to arrange courses to meet demand, thus if there are a number of people at your school who would like to train, but no courses nearby, please get in touch so we can discuss whether a course can be arranged. When you book a place on one of our courses through this website, you will receive an automatically-generated email from us to confirm that your application has been received. Within seven days you will receive an email from the Sounds-Write trainer who is running the course. Provided places were available when you booked, they will confirm that you have the place or places you requested, and will send joining instructions. Our courses typically run from 9.00 am to 4.00 pm, but this may vary very slightly from one course to another and will be specified in the joining instructions. Is There a Shorter Introduction to Sounds-Write? You will find material on this website that introduces and explains our basic approach. We do not, however, offer a shorter alternative to our four-day course. We are committed to the principle of rigorous training for all teaching staff, and don't believe this can be achieved in anything less than the four-day training we offer. For this reason, we do not offer our manual for sale separately. Sounds-Write is a training-based programme, not a materials-based one and therefore we only supply copies of our manual to trainees on our courses; a great deal of interaction is needed for the trainee to really absorb and consolidate our approach, and the manual is therefore an integral part of the course. Does Sounds-Write meet all the criteria of the DfE's Y1 Screening Check? 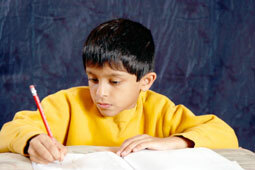 Yes, Sounds-Write teaches everything children need for this mandatory test. Not all phonics programmes do. For details, please download this document. Ideally, the school your child attends should be able to give you specific advice on how to support his/her learning throughout the year. If in doubt, we’d suggest asking the teacher what s/he is going to be doing and ask how you can help. We make a file available to all Sounds-Write trained teachers to pass on to parents. It will tell you the order of sounds to be taught and give a little basic advice such as, ‘don't use letter names’ and ‘try to say sounds precisely’. It could also be appropriate for you to get hold of one or both of our workbooks to use with your child at home, but please ask your child’s teacher about this directly. We also have an app for the Initial Code, and this can be a great help in coaching your child through the earlier part of our programme. You will find the app at the iTunes app store. We recommend our own books, which are designed to instil the principles of the Sounds-Write programme in young readers, and to grip their attention through colourful illustrations and gripping stories. See our ‘Books & Resources’ page for more details. Once children are through the first half of our Extended Code, they should be able to read all sorts of books that are age-appropriate (Barrington Stoke’s books for example). We also recommend informational texts, such as simple encyclopedias that contain short, bite-sized texts, but give practice in reading - the Kingfisher First Encyclopedia is a good example. What Age Range is Sounds-Write for? Our primary aim is for Sounds-Write to be used as a beginning reading programme that starts when children enter Primary School in Reception (age 4 – 5) and which is then taught throughout Key Stage 1 (age 5 – 7), before being fine-tuned in Years 3 and above (Key Stage 2, ages 7 – 11). After Y3, we would expect staff to be using the programme to teach the less frequent sound-spelling correspondences that come up in the daily round of teaching and, of course, we always believe there is a place for keeping the three key skills of segmenting, blending and phoneme manipulation sharp, especially with work on less frequently encountered polysyllabic words that come up in the curriculum. Children who make a slower start initially may continue to need the kinds of structured and systematic teaching presented in the programme. Sounds-Write can also be taught as a catch-up programme: 1) to a whole class if they've not done any phonics before; 2) to a small group of pupils or one-to-one for pupils who have fallen behind the rest of the class and need significant input. Ultimately, the writing system was invented to represent the sounds in speech. This being the case, phonics is relevant to everyone from beginner to adult. We generally characterise Sounds-Write as a phonics programme and leave it at that, because the full explanation involves more information than people generally want. For the intrepid few, here is the full explanation. Sounds-Write is, first and foremost, a linguistic phonics programme in the sense pioneered by Diane McGuinness, which is to say that we teach from sound to print: we start from the sounds in our speech and teach that English spellings represent those sounds; spellings were invented to represent the sounds in the language. Sounds-Write is also a synthetic phonics programme in the sense that we teach what the government recommends should be taught in a synthetic phonics programme. What differentiates Sounds-Write from most other phonics programmes is that it starts from what all children learn naturally: the sounds of their own language. There are a limited number of sounds in English: forty-four, or forty-five depending on accent. As long as a phonics programme is anchored in those speech sounds and teaches from simple, for beginning readers and writers, to more complex, it is almost impossible for teachers to lose their way. 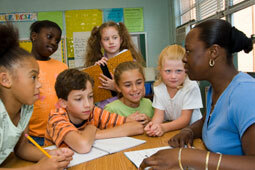 Our approach teaches children that all of the sounds they utter in every word have been assigned spellings. This knowledge gives our teaching a psychological reality for them: there are sounds and there are spellings to represent those sounds. When teachers teach children that letters ‘make’ or ‘say’ sounds, they are both undermining children’s understanding of the symbolic significance of the writing system and are confusing them about how the alphabet code works. The English code is the most complex and, for that reason, it needs to be taught systematically and explicitly from simple one-to-one sound spelling correspondences to the kinds of complexities that cause adults problems: that sounds can be spelled with multiple spellings and that many spellings can represent more than one sound. Sounds-Write teaches all of the code, all of the skills required to use the code effectively in reading and writing, as well as teaching the conceptual understanding necessary to know how the code works so that they are able to generalise the knowledge across the whole domain. For these reasons, Sounds-Write promotes deep learning. You can access the latest versions of all the files supplied with our training manual by going to this page and entering the username and password you were given when you attended the course. If you have lost these, get in touch and we will let you have them again.